You do not have to be a rock star to need this energy drink because we all need a little boost sometimes. Rockstar Energy Drink, which was released in 2001, is designed for people who lead active lifestyles and are rock stars in their own ways. It is best for athletes, performers, professionals, students, and anyone who leads an active lifestyle. Since it has been introduced to the market, Rockstar Energy Drink gained its own followers and became one of the leading energy drink brand. Probably one of the reasons why people love it is because of the wide variety of flavors that the brand offers. 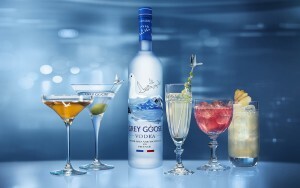 It currently has more than twenty flavors and is available in more than thirty countries all over the globe. Below are the latest Rockstar Energy prices. Rockstar Energy was founded by Russell Weiner in 1998. At that time, energy drinks were considered to be the fastest growing segment of the US beverage market. With the growing number of competitors, Weiner knew that he had to think of something to sell the product and differentiate Rockstar from the other energy drinks, especially the top selling Red Bull. Aside from using different ingredients, which the brand claims to be “scientifically formulated to speed the recovery time of those who lead active and exhausting lifestyles”, Rockstar was released in a 16 ounce can size against the Red Bull’s 8 ounce can. It was also marketed to be the same price as Red Bull but for twice the size. Their marketing strategy seemed to work as Rockstar was one of the top three energy drink brands in North America by 2007. The brand enjoyed a 155% increase in its sales from 2004, reaching about $48 million. 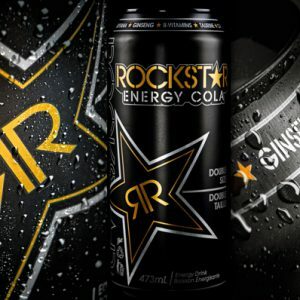 By 2008, Rockstar had 14% of the energy drink market in the United States, and by 2009, it became available in more than 20 countries outside the US. The Coca Cola Company was the distributor of Rockstar Energy drink until the summer of 2009. Then, Weiner decided to switch to PepsiCo. Like other energy drinks, Rockstar Energy also sponsored a lot of action sports, motor sports and live music events. One event that Rockstar sponsored was the Mayhem Festival, which was a metal and rock festival touring the United States in July and August. It also supported the Uproar Festival, which was another rock festival touring the US in September and October. However, both festivals were discontinued in 2015. Rockstar Energy Drink may be taken by those who live an active lifestyle, but like with other energy drinks, consumers must also consume responsibly. Excessive consumption can cause head aches, anxiety, nervousness, and high blood sugar levels. 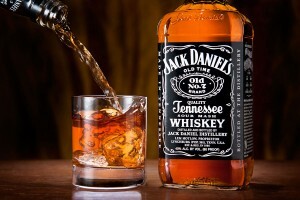 It should also not be mixed with alcohol as it can mask the level of alcohol intoxication. Also, it should not be taken by children, pregnant or nursing women, as well as those who have a sensitivity to caffeine. As mentioned, there are more than twenty flavors that Rockstar currently offers. These flavors and variants, at least those that are offered in the US, have two levels of caffeine content. It can be either 10mg of caffeine per ounce or 15 mg of caffeine per ounce. The caffeine content of the Rockstart Energy Drink Original is 160 mg per 16 ounce can, while for the Rockstar Punched Energy Drink, it is 360 mg per 24 ounce can. The two major ingredients of Rockstar Energy Drink are caffeine and sugar. Other ingredients include panax ginseng, ginkgo biloba, milk thistle extract, taurine, and guarana seed. Rockstar Original is designed for anyone who leads an active lifestyle – from athletes to rock stars. It is available in 8.4 ounce, 12 ounce, 16 ounce, and 24 ounce cans. Rockstar Sugar Free has zero sugar, zero carbs, and zero calories. It is available in 8.4 ounce, 12 ounce, 16 ounce, and 24 ounce cans. Rockstar Punched has a fruit punch flavor and the potent energy blend of Rockstar. It is available in 12 ounce, 16 ounce, and 24 ounce cans. Rockstar Pure Zero Silver Ice has zero calories and zero sugar. It is available in 12 ounce, 16 ounce, and 24 ounce cans. Rockstar Pure Zero Punched is the same as Rockstar Punched but with zero calories and zero sugar. It is available in 16 ounce, and 24 ounce cans. Rockstar Pure Zero Lemonade. This one is only available in 16 ounce cans. Rockstar Juiced Passionfruit. This is made with real juice and is only available in 16 ounce cans. Rockstar Organic Energy Drink. This one has organic caffeine from organic green coffee beans and organic sugar. It is available in 15 ounce cans. Rockstar Recovery Lemonade. This is a non-carbonated drink with only 10 calories per serving. Rockstar Zero Carb has zero sugar, zero carbs, and zero calories. Rockstar Jamaica Cooler has energy and electrolytes and is lightly carbonated. Rockstar Revolt Killer Citrus has 240 mg of caffeine per 16 ounce can.